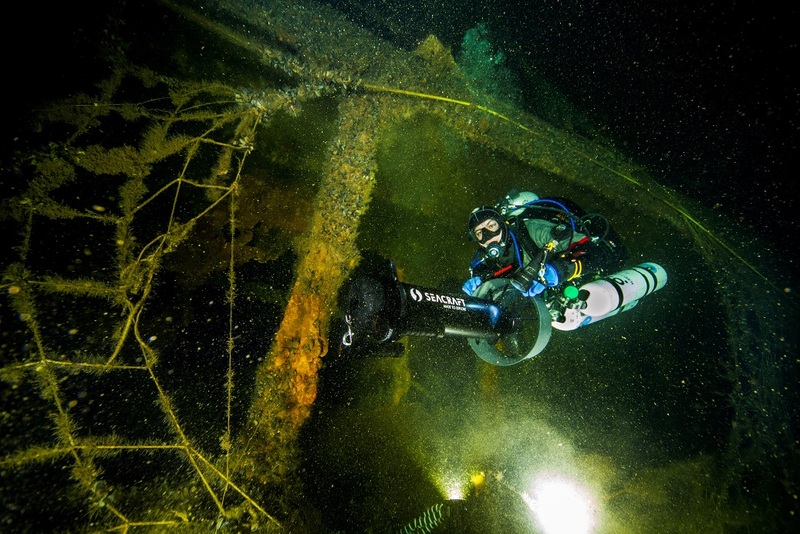 The main goal of the project is to reduce the possibility of an ecological disaster in the Gdansk Bay resulting from the potential oil spill from the Franken shipwreck – a tanker sunk during World War II. As part of the project, a research expedition to the wreck will be carried out to assess the risk of oil spill and based on the results of the expedition the best technical and environmentally safe recovery plan for the Franken will be prepared. A big part of the project will also focus on a media campaign to raise awareness for the issue and to mobilize the political will to take over responsibility for securing the wreck. The tanker Franken is the largest identified wreck in the Gdańsk Bay and is located near numerous Natura 2000 sites, reserves, and a colony of protected grey seals. Preliminary estimations based on historical materials and field trips, indicate that the ship tanks may still contain up to 3 000 tonnes of fuel and 1 000 tonnes of other oil products. Due to the corrosion of the ship’s hull, every year the ship’s plating is decreased by approx. 0,1 millimetres and thus, since the Franken is already 70 years old, the overall corrosive loss is estimated at approx. 7mm. Consequently, such substantial loss of plating may result in the ship’s collapse and uncontrolled leakage of a considerably higher amount of fuel than in the case of the Stuttgart wreck. The preliminary analysis carried out by the Maritime Institute in Gdańsk indicates that due to the direction and intensity of sea currents, if this black scenario is fulfilled, the released fuel may contaminate significant areas of the Gdańsk Bay, including several Natura 2000 sites and the beaches from the city of Piaski to Hel. In such case, many valuable and protected habitats and species could disappear and the achievement of the objectives of the Maritime Strategy Framework Directive could be jeopardized. Therefore, there is an urgent need to carry out a detailed research of the wreck to develop a suitable Action Plan in cooperation with national and regional authorities, private companies and research institutions. investigating the scale of the problem posed by the Franken shipwreck through a research expedition aimed at assessing the risk of an oil spill, the level of corrosion and the estimated amount of fuel. developing two Action Plans: 1) a specific action plan for the retrieval activities on the Franken, and 2) a universal action plan (based on the specific action plan for the Franken) on how to step-by-step solve the problem of potential oil and fuel spills from other shipwrecks located in the Baltic. raising the awareness of the society about the potential risks posed by the Franken. The main aim of the educational media campaign will be to gain the support of the public through signatures under an online petition addressed to the government. The campaign will put social pressure on the government to take over the responsibility and commit to solving the problem.